Q1: Write a shell program which informs as soon as a specified user whose name is given along the command line is logged into tile system. Q2: What is kernel? Illustrate it's functioning in Unix environment. Q4: Write your views on what makes linux so popular. Q5: Write a shell script to calculate factorial value. Q6: What is a process? How can we create a process? Discuss the difference in between fork( ) and vfork( ). Q7: When do you require named and nameless pipes? What will be difficulties if we want to use pipes for client/server applications? Q9: Write a program to simulate sleep and wake up behaviors among two process. Q10: What are semaphores? Are semaphores available even after 'me' process which when created is dead? Q11: Write a program which takes a source file name along the command line and duplicate file names along the command lines and copies me contents of sources file from the destination file. Q12: What are sockets? Design a client/server model in which client sends an integer value to the server. Server calculates its square and return it to the client. Q13*: Define the term "Code inspection". How will you instrument a code by adding few more lines to gather more information about the behaviour of program. Q14: What is a file system? What are the various types of file system. Discuss the various file attributes on ext 2 file system. Q15: What is multiprocessing? Explain symmetric multi processing in detail. Q18: What are system calls? Q19: How will you add and delete a new user in Linux? Q20: Which two commands can you use to delete directories? Q21: Write a shell script which displays names of directories in PATH in one line each. Q22: What is pipe? When do you require nameless pipe? Q23: What do you understand by connection oriented and connectionless communication? Q24: What are socket API's? Q25: Explain Proc file system in detail. Q26: What is the difference between Message Queue and pipes? Q27: What are the various steps involved in Kemel recompilation? Q28: Describe interrupt handling in detail. 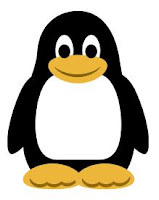 Q29: 'Linux operating system supports multiprocessing, multiprogramming and multiuser.' Elucidate. Q31: Write a shell program to print all files that have read permission only. Q32: Explain the virtual address space for a process. (i) To add the contents of one file to another. (ii) To print the last 5 lines from a file. Q34: Write a shell program to accept any 3 numbers from the command line and print the largest number. Q37: Explain the advantages and disadvantages of dynamic memory allocation in the Kernel segment.